We have just kicked off the 2019 Copyright Literacy world tour, and returned from Galway in Ireland where we were attending the OER19 conference. 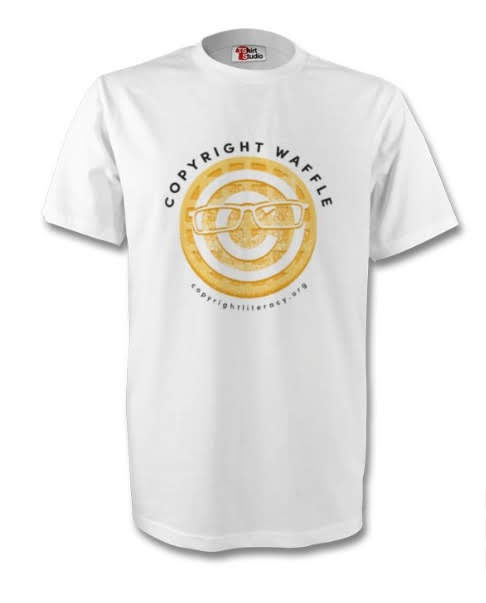 This year’s t-shirt is promoting the Copyright Waffle podcast series that we launched last year and so far has featured interviews with some great people in the copyright world, including Eleonora Rosati from the University of Southampton, Bartolomeo Meletti from CREATe and Learning on Screen, Jose Bellido from the University of Kent, James Bennett from CLA, Judy Nokes from the National Archives and Lionel Bentley from the University of Cambridge. We didn’t have time to do any podcasting while away, but did catch up with lots of great people working in the field of open education. It was interesting to see how many times copyright got a mention during the conference and to consider its important role in allowing or sometimes stopping people to be more open. 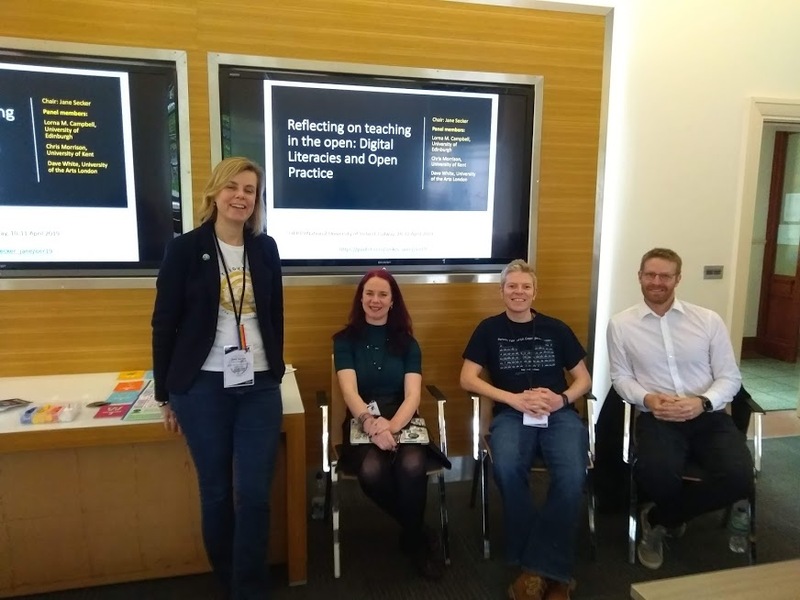 We were part of a panel discussion, Reflecting on Teaching in the Open based on the module I launched last autumn at City, University of London as part of our Masters in Academic Practice. The module is called Digital Literacies and Open Practice and I was reflecting on the experiences of teaching this module and where concepts such as copyright literacy might fit. Participants played The Publishing Trap on the final teaching day of the course, and so we were able to show off the game, which of course is an open educational resource. The panel discussion featured 3 of my guest webinar presenters, including Chris, Dave White and Lorna Campbell. The slides from our panel are available online. It was the last session of the day, but we had a fantastic turn out for the session and a really excellent discussion with the panel and delegates, which I think we’d both like to write some more about soon. Thanks to Lorna and Dave for being part of the session. Previous Copyright the Card Came: Australian Edition is launched! Next Another week, another conference, this time on twitter!